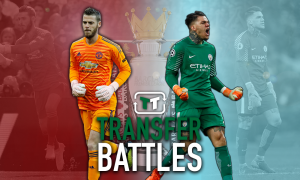 It's about time Manchester United finally signed this £49.5m-rated World Cup winner | The Transfer Tavern | News, breakdown and analysis on all things football! 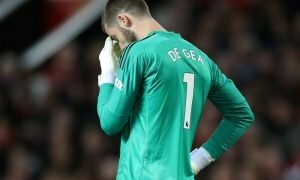 Manchester United have had a slowish summer in terms of transfers, with only Fred, Diogo Dalot, and Lee Grant coming through the door thus far for Jose Mourinho. With two weeks remaining until the transfer window slams firmly shut, the Red Devils fans will be hoping to see Mourinho make at least one more big money swoop, however, for a club like United, only the best will do. 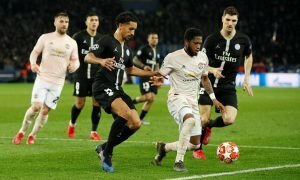 Despite already having a plethora of talent in attacking areas, we at the Transfer Tavern believe you can never have enough world class players in attacking areas, and with Anthony Martial potentially on his way out of the club, we’ve been looking at some potential replacements for the Frenchman. One player we have admired for quite some time is German forward Thomas Muller, who has been a long term transfer target United but has so far failed to sort out a move to the Premier League. The £49.5m-rated World Cup winner is a class act, and always seems to show up on the biggest stage, despite having a quiet summer over in Russia this time out. Muller though is a guarantee of goals and workrate, and his ability to play across all the attacking positions make him a valuable asset for any team. At 28, he still has some of his best years ahead of him, and having achieved everything he could want to over in Munich, a move to Old Trafford and the chance to wrestle the title back for United from rivals City, could prove too tempting to turn down. United fans, what do you think? Good signing? Let us know in the comments!